Welcome Home Veterans | Come see our non-profit organization! 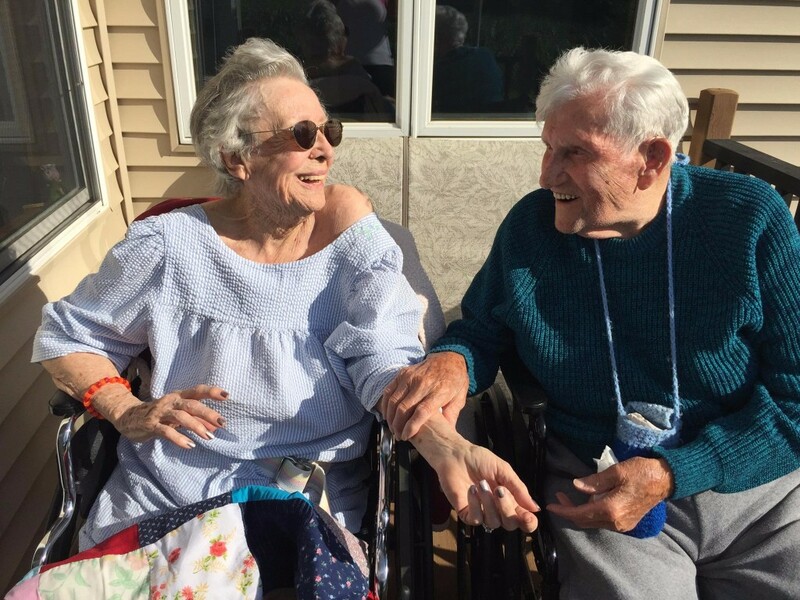 In June of 2011, my husband and I had to come to the realization that it was time to place his 97 year old mother in an assisted living. I had read in the paper that Welcome Home was a smaller home that offered a homey atmosphere. I especially liked the fact that the owner was an RN. So I called around to a few homes asking questions. When Kimberly called me back, she was sympathetic and gave me some insight as to how the process worked. She offered my husband and me a tour, so the next day we visited. Kimberly herself was there to greet us with a smile and a hug. That was the reassurance that we needed. She was so personable. The home was exactly as I had read in the paper. It was homey, clean and the staff was so nice. You could tell Jennifer really liked her job. But what stuck out loud and clear was the fact that Jesus was welcomed and they actually prayed with their residents. The monthly care payment was comparable to the other homes I called around to. Even though Kim encouraged us to visit other assisted livings, I knew from the time we walked in and met Kim and the staff that mom was going to live there. My mother-in-law turned 100 while she lived there and the celebration was remarkable. The staff went above and beyond. As mom declined, Jen would call us with updates. That was so appreciated. They agreed it was time to call in Hospice and about 3 weeks later, mom passed just before her 101st birthday. Both Kimberly and Jennifer were right there by her side providing comfort and prayer as she went home to be with the Lord. The Christian music that played softly was an added touch. Mom passed with peace and dignity. The support that the staff offered to us during that time will never be forgotten. Little did I realize that my husband would be diagnosed with cancer just five months later. With the surgeries and treatment, he became so weak and also confused. My daughter and I could no longer handle taking care of him. We were sleep deprived to the point of exhaustion, so I called Kim. She was there with open arms the same day that I called. Welcome Home had just had an opening. After she made several phone calls, Kim put my husband in her car and took him to Welcome Home. My husband died two days later at the age of 67. I cannot begin to express my sincere gratitude for what these people do. The staff at Welcome Home makes such a difference. The home itself is a beautiful place to live but the owner and the staff make it that much more special and memorable. I’ve received follow up calls from Kim and Jen offering love and support! I highly recommend Welcome Home to anyone who needs help with an aging parent or spouse.